Find family friendly neighborhoods in London to suit your family and lifestyle. Planning on relocating to London with children is a big step. While many parents assume that education is the most important aspect of international relocation, there are many other aspects that can and will affect your children. Yes, children are remarkably able to adapt to a new country and system of education, but it is important to consider where you are taking them and whether their immediate environment will accommodate their shifting needs. Whether you are buying or renting, it is all about where, and not what you choose – especially when it comes to London. 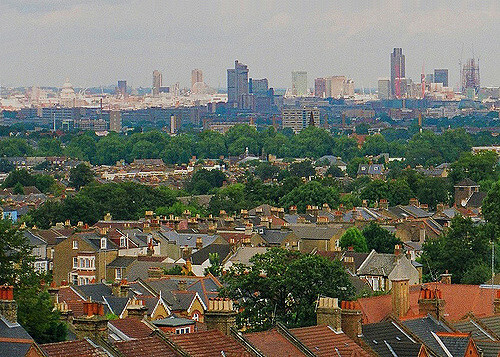 Family Friendly Neighborhoods in London: City or Suburbs? It is not only important to be in close proximity to good schools, doctors and community activities; it is also vital that you consider safety and the daily commute parents have to make if they work in the city. After all, quality time with kids is so important to their development. Here are some family-friendly neighborhoods in London and what they can offer your children in terms of education, open spaces and proximity to the city. With 72 acres of parkland, complete with a boating lake and sports facilities, Dulwich provides ample open space for roaming little feet. There are also several fantastic public and private schools to choose from and the crime rate is very low. Commuters will enjoy a quick 15-minute jaunt on the train into the city center. Dulwich is perfect for active families. Consistently rated as one of the safest areas in London, Richmond is a delightful town located next to the Thames. Richmond Park offers a whopping 2,360 acres of open air and plenty of wildlife, including deer and squirrels. Richmond also has many top educational facilities and especially caters to families interested in top private schools. As the safest borough in inner London, Wandsworth attracts a lot of families. This makes it ideal for community-oriented families. Again, many options for schools and around a 12-minute commute away from the center of London. For those with safety as a priority, Wandsworth is the place to explore. A leafy and feel-good area, Muswell Hill gives the impression of being far away from the city, even though it is only a 20-minute commute. The farmer’s market every Sunday makes it easy to keep the family healthy – an ideal location for the city dweller who prefers a rural feel.